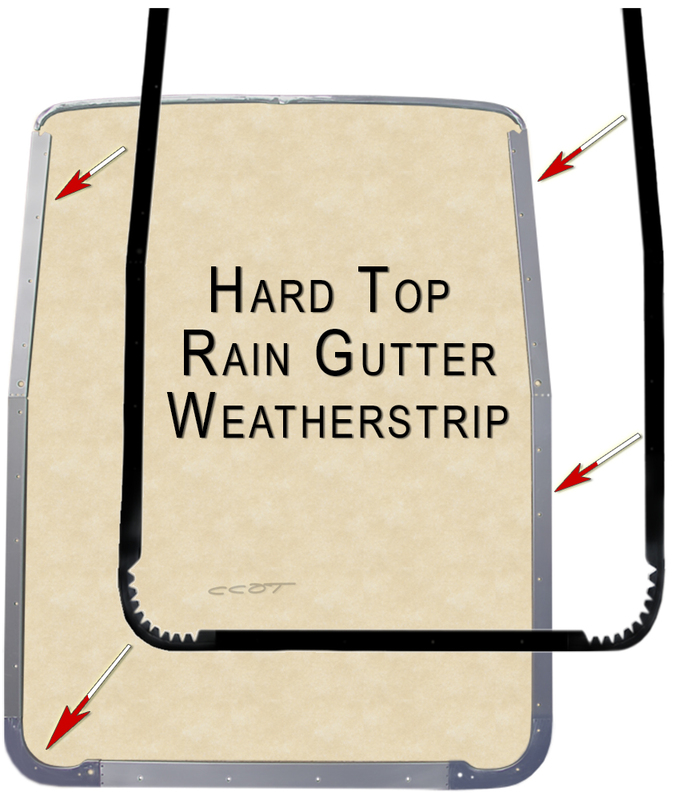 CCOT's beaded weather-strip (Hard Rubber, like original) that fits between Hard Top Rain Gutter and Hard Top side walls. This weather-strip was custom built for CCOT and is a continues strip that is 17'-10" long (cut extra long). Designed to be as original except for inside "T" flange which was removed by design so that rear corners can be "V" notched and formed to fit. 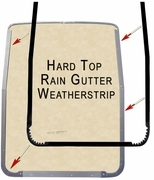 Weather-strip is quick and easy to install and at 1/4th the factory price. 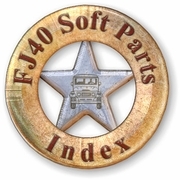 This is a Quality Part and a great money saver for your restoration project. A proven CCOT restoration part for the budget minded restorer. 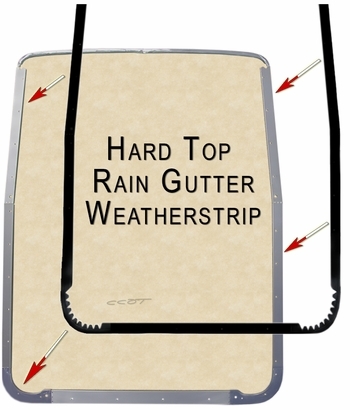 We also have original Toyota Rain Gutter Weather-Stripping for Hard Top.